This online slots from Play N Go has clearly been inspired by the Japanese Anime designs from the 90’s and this is evident by the graphics and detail of the characters used within the game. 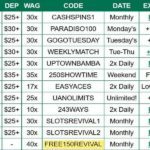 It has an unusual 5×5 grid with a green background upon which there are 20 structured winning pay lines. All the reels to be found within an ornate golden frame with wings at each bottom corner. 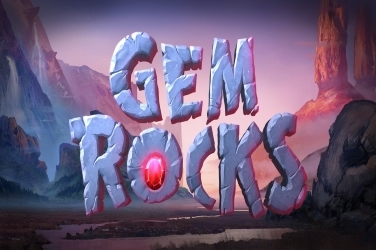 The gentle music that plays adding to the soothing feel of the game. 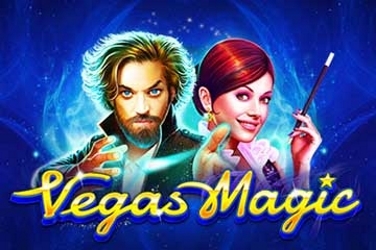 Players can enjoy various fun elements to this online slots game if they are using a Desktop, Tablet or even a Mobile device that is compatible with the Play N Go software. 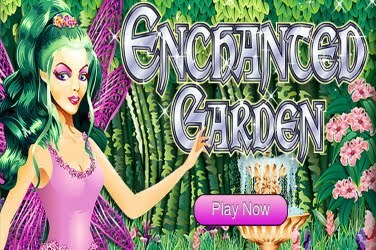 This makes the game easily accessible for any player who wants to experience all the thrills that this casino game has on offer. 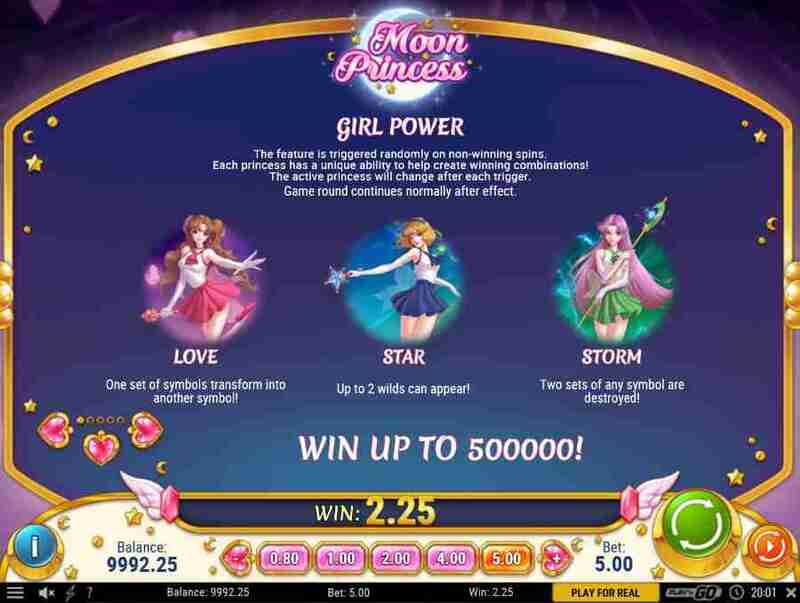 The designers have provided players with a Wild, Scatter, Free Spins and various other Features to keep them entertained while enjoying the Moon Princess slots game. Always watching as they see their jackpot balance increase as the reels spin. A Bell, a Red Heart, a Green and Gold Disc and a Blue Star make up the lower paying symbols used in this slots game. In a circular frame players can find the 3 young ladies who are the main characters within the game. 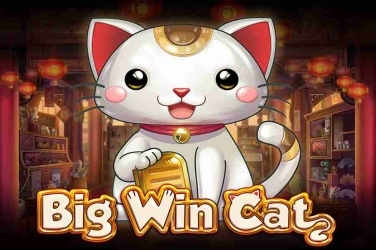 The ladies are called Love, Star and Storm and although they have their own winning pay-out amounts they can also combine to generate further prizes to be added to the player’s final balance. Wild – a full Moon encased in a golden crescent is the Wild symbol in this Girly themed game. 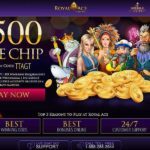 When this appears more wins can be created as it is able to change any other on the screen which can generate some decent returns on the player’s initial wager. 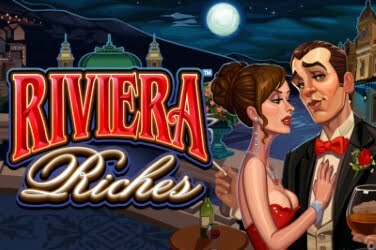 Cascading Reels – 3 or matching symbols adjacent in a row is all that is needed to receive a pay-out in this online slots. Those images will then disappear from the screen but rather than be replaced with others the Moon Wild will fall into the central position. This can mean even more winning combinations could be found for further cash prizes for the player to claim. 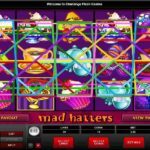 Multipliers – with each win that the player locates on the 5 reels the Multiplier meter in the top left corner of the screen will increase by 1x. So the more consecutive pay lines found means the higher the return on the original stake placed. Love – 1x set of symbols will change for another to give players a better chance of finding a winning pay line to claim. Star – now 1 or 2 Wilds will be added to the reels to provide more opportunities for players to create a winning combination. 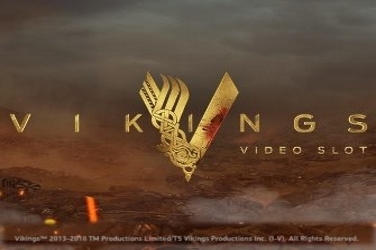 Storm – 2x lots of symbols are removed and then replaced to offer further chances to win. 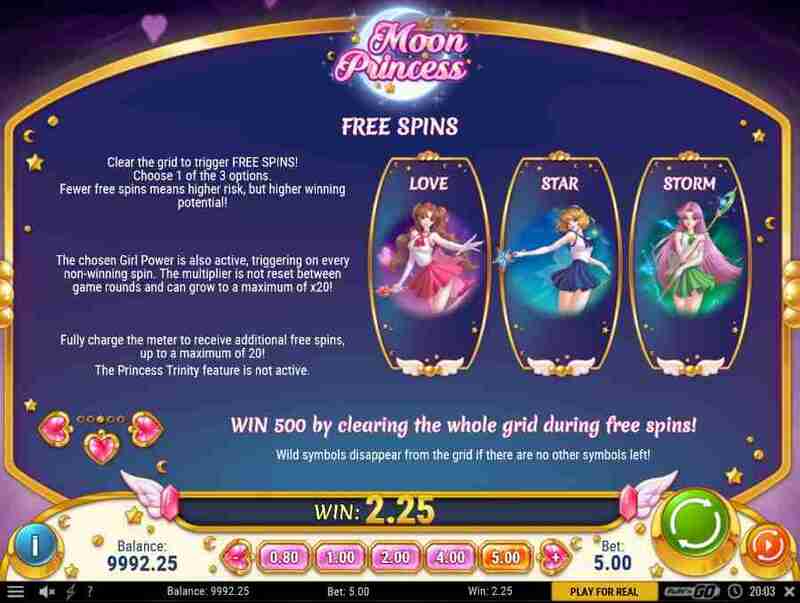 Girl Power – 1 of the 3 Moon Princess’ is always in play throughout this game and their character can be seen to the right of the reels. 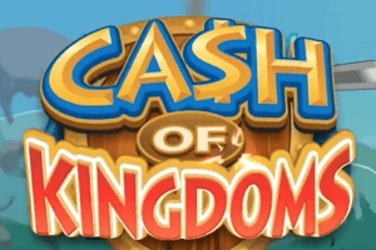 Their special individual “power” will be rewarded to the player at random after any non-winning spin so that they have any extra chance to add to their jackpot balance. 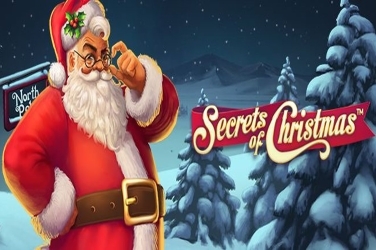 Free Spins – for this Bonus Feature to be activated the screen needs to be cleared of symbols. Then players can choose 1x of the lovely ladies to take them through this part of the game. 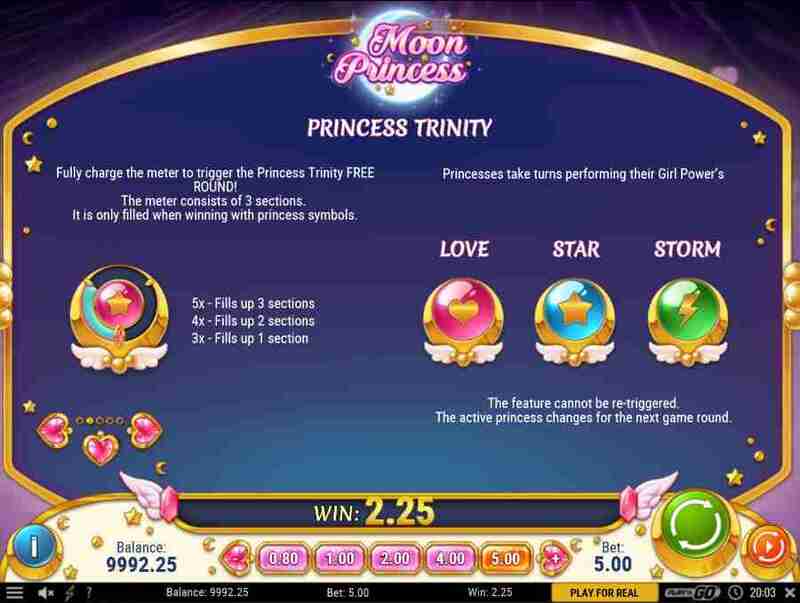 In addition to this it is still possible for players to activate the Girl Power and Princess Trinity Bonus Features. And as well as this the Multipliers will still continue to increase with each win that the player spins. 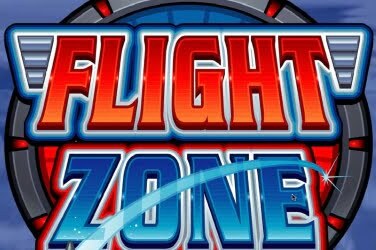 All 20 structured pay lines have to be in play before the 5 reels of this online slots game can be spun. 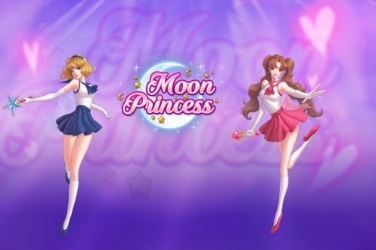 With just as little as 0.20 players can join the Moon Princess’ while hunting for the hidden treasures that will reward the highest cash amounts. There is a +/- button on the Control Panel however that can be used with the maximum wager being 100.00. 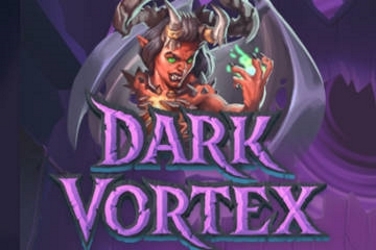 This is a High velocity game but its Feature packed format has been keeping players spinning since it was released in July 2017. 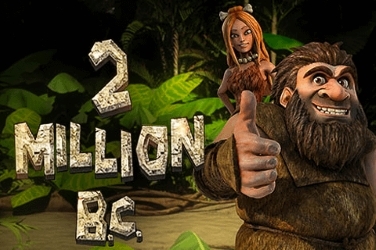 Now found in Play N Go online casinos it offers Wilds, Free Spins, Multipliers along with 2 more Bonus Rounds. 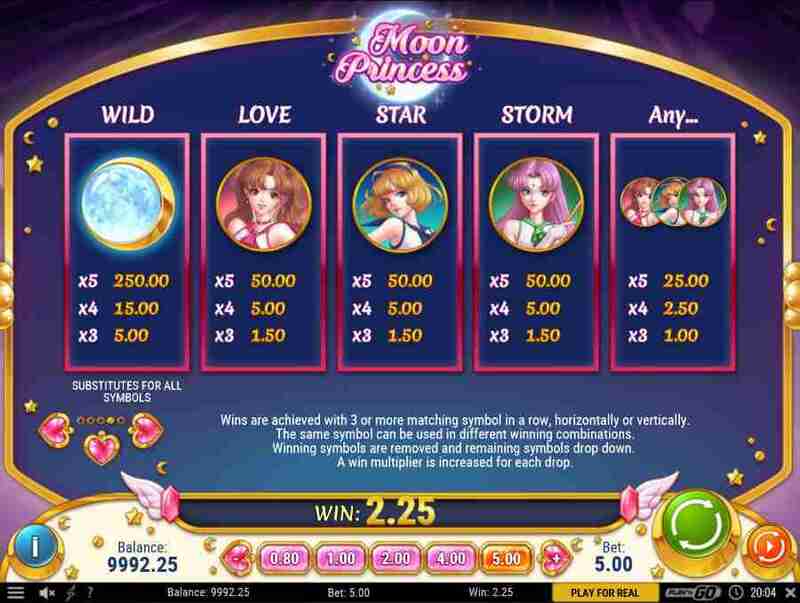 The entertaining format and beautiful graphics attracting players of various levels to the Moon Princess slots game.